In her video installation MOVEMENT FROM EITHER DIRECTION, Nan Hoover creates a new space within the exhibition space. The geometrical outlines seem to have moved, the walls seem out of place. 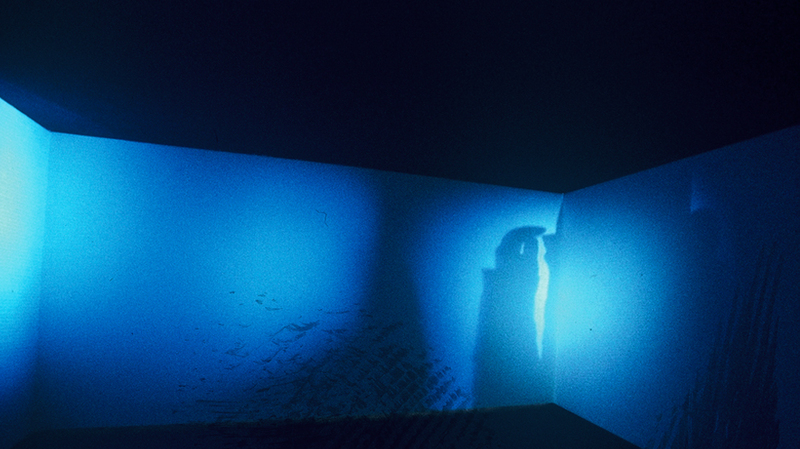 Already from the entrance, the view is caught by the opposite corner of the installation where the shadow of an oversized figure moves from right to left. 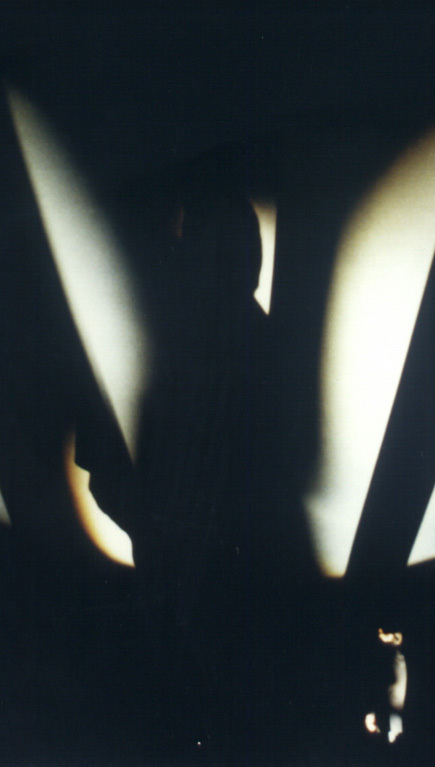 After entering, one realizes that the room is empty and that theres is nothing to cast the previously seen shadow. This fiction, set up by the artist via video projection, is surprising. 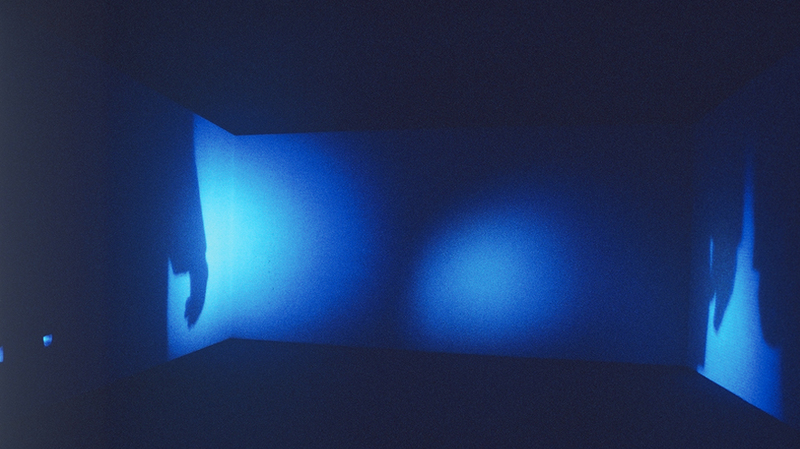 And Nan Hoover uses this moment of disorientation to abduct us into a world of shadows where the white and blue light projections transform the visitor into a shadow himself, making him part of the installation, causing him to interact. In MOVEMENT FROM EITHER DIRECTION, the trained painter and drawer Nan Hoover deals again with her central subject, the human body by both letting it act in space and presenting it in a transcendent way through light and shadow. She play on the overwhelming, on strangeness and oversize—which we fear and yet instinctively expect when entering a dark room. MOVEMENT FROM EITHER DIRECTION continues the happenings, performances and installations with light and video projections that Nan Hoover has continuously developed since the 1970ies. Almost all of her video works are abstract and challenge us to deal with speed, time and movement. They explore the fear of the imaginary and play with fiction and reality. Nan Hoover describes her work as interactive, because the installation only becomes what it is supposed to be by the presence of the moving viewers and their wandering shadows. By the visitor?s actions, the spaces is filled with ever new variations of light and shadow. This continuous change of the installation is interactive in the classic sense—in contrast to many computer-based installations that are nothing but multiple-choice programmes. In the lightscape so created, both real and virtual shadows meet just as the imaginary meets with the visitor’s physical presence. 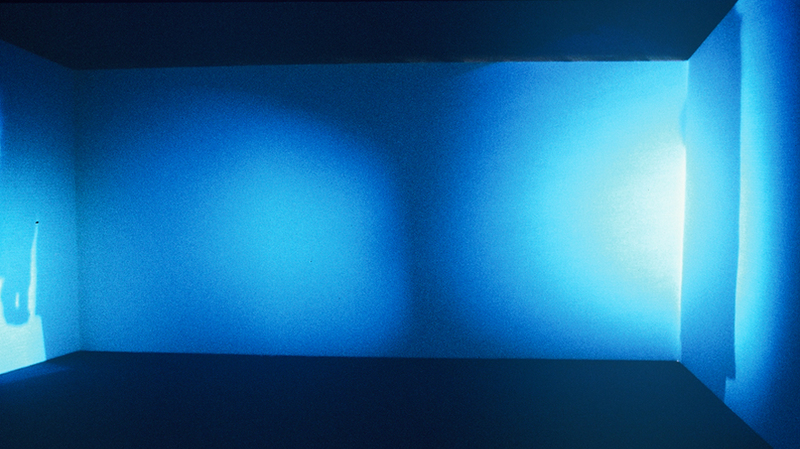 While one of the shadows grows out of the absence of light, the other appears due to the projected light of a video projector.